Posted by brandea1 on Monday, January 7, 2019 in Uncategorized. Getting to know a course management system can be confusing for students, as well as instructors. We’ve assembled a list of “Four Things Every Student Should Know about Brightspace at Vanderbilt.” This list will help your students as they navigate Brightspace. Instructors can feel free to share this post with students, link to it within their courses, or use the text and links in their syllabuses. The Class Progress tool allows students to see all of their course interactions in one place. Students should use this tool to see grades and feedback posted by instructors, and to get a detailed view of how they have participated in the course. If instructors click on Class Progress, they will see a list of all the students in the course. By clicking on a particular student, the instructor can see the exact same screen as the student. Being able to go to a particular student’s Class Progress screen and see feedback from the student’s point of view is a useful tool for faculty. –> Instructor tip: Encourage students to explore the Class Progress tool to stay informed of how they are doing in the course. Students can set Notifications that come to students’ phone or email . Students can choose to get a text message notification every time a new announcement is posted, when an assignment due date is 48 hours away, or for a variety of other course activities including new grades and new content. -> Instructor tip: Make sure students know how to get course notifications sent to their phone or email. -> Instructor tip: Let students know the Pulse app is available through app stores. Many students will come to their instructors first, when needing help with Brightspace. We encourage you to tell your students about Brightspace Support at the CFT. Students are welcome to email or call us with their questions. Our support hours can be found here. 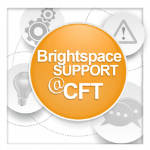 -> Instructor tip: Let your students know that Brightspace support at the CFT is here to help! If you plan to send your students a beginning-of-semester email about how to use Brightspace, feel free to use, edit, or take inspiration from this template we put together (below). 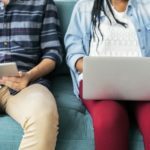 If you plan to include a section in your syllabus on important Brightspace features, this might serve as a starting place. Please let us know if you have any feedback to improve our template! This semester we will be using Vanderbilt’s course management system Brightspace. 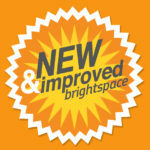 If you are new to Brightspace, you’ll find this information helpful in getting started. 1) When you go to Brightspace at brightspace.vanderbilt.edu, you should log on with your VUNetID and password through single sign-on. The first page you see is your landing page. Every course that instructors have made available to you should be on that landing page. 3) When you click on our course, you will see a navigation bar across the top with links to different parts of the course. All of the materials I have posted for you to read, view, or listen to are posted in the tab called “Content“. The “Class Progress” tab is where you will go to see grades, feedback from me, and a detailed account of everything you have done in the Brightspace course. Please feel free to click on the different tabs and see where they lead. 4) Finally, if you need help, the Center for Teaching has a support site where they post resources for students that may be of use to you. You can also email them at brightspace@vanderbilt.edu during their extended support hours.